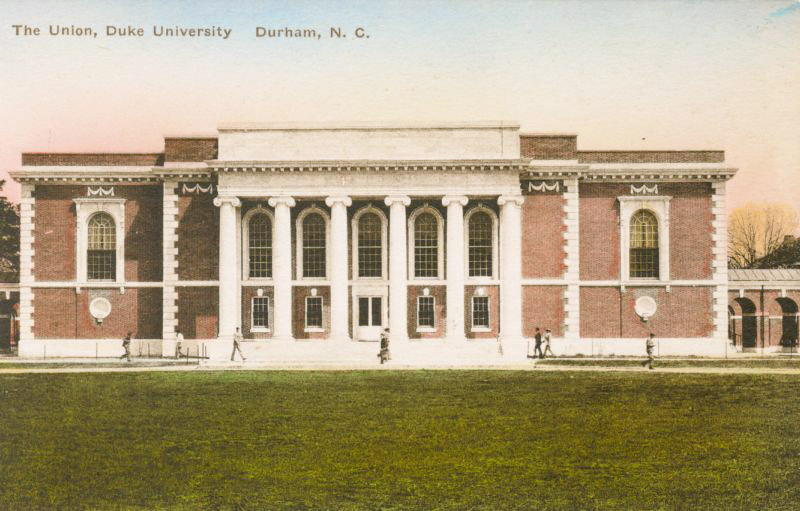 The original Union / dining hall for the Women's College, the the building contained multiple meeting areas and lounges, as well as faculty dining areas. As a small note that seems lost to the annals of time, when I was an undergrad in the late 1980s, there was a fine dining restaurant that accepted 'points' (on the Duke card) in the Union called the "Magnolia Room." The building is now called 'The Marketplace' since an major interior renovation in 1995. Are you sure the Magnolia Room was in the East Campus Union building? 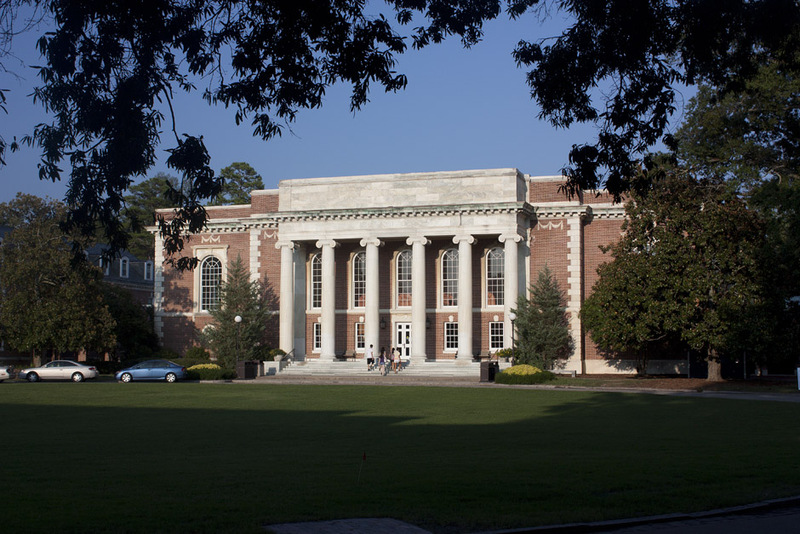 When I was an undergrad there from 92-96, the Magnolia Room was upstairs in the West Union building and it would overlook the Bryan Center Walkway. It's long gone now though unfortunately. You may be thinking of the Oak Room - at least, the location you describe was the location of the Oak Room when I was an undergrad just before you. I am sure that the Magnolia Room was in the East Union building, again, at least it was in ~1990.